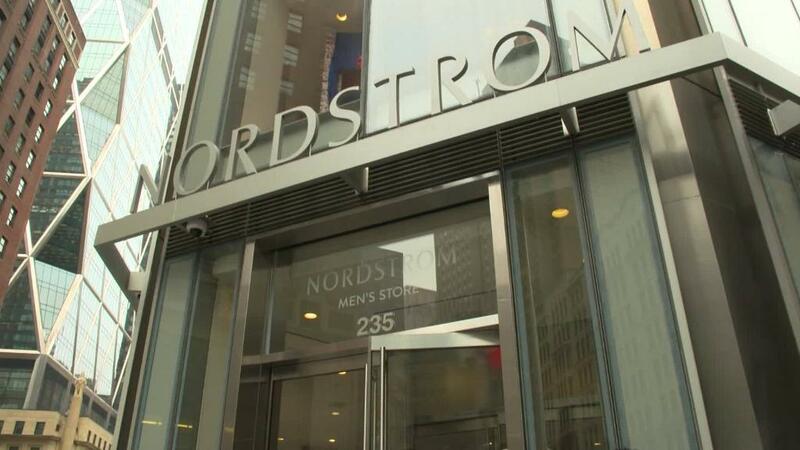 Nordstrom is the latest big American retailer to report sluggish sales growth. Its stock tanked -- just like several other retailers this week. 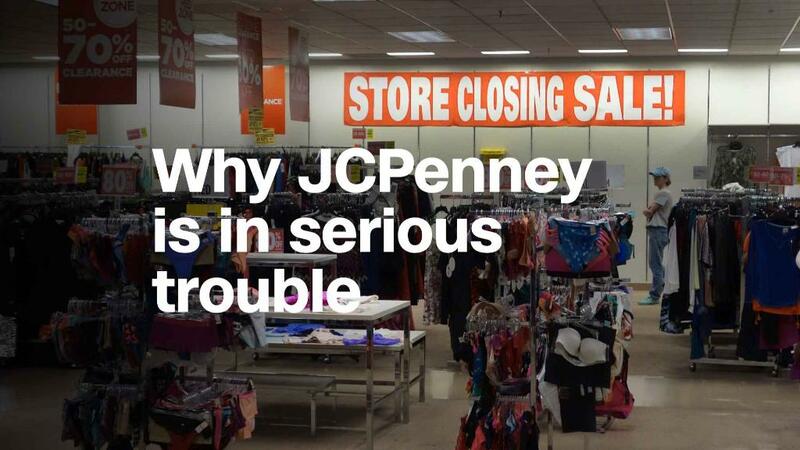 JCPenney's (JCP) results were dreadful and shares are now down more than 40% in the past year. Walmart (WMT) reported an uptick in online sales, but investors are worried about its profit margins. Walmart's stock, already one of the worst performers in the Dow so far in 2018, fell again after its earnings report. But not all big retailers are struggling. The weak sales from Nordstrom (JWN) and JCPenney are in stark contrast to healthier results released this week by department store chains Macy's (M) and Dillard's (DDS). People are clearly still shopping at some brick and mortar retailers. Government figures for retail sales in April showed a healthy uptick in spending overall. The fact that some traditional chains are doing well while others are foundering proves Amazon (AMZN) isn't killing everyone. It's not true. Nordstrom, for example, is a much different company than JCPenney. It is more of a higher-end, luxury retailer -- one that presumably is more immune to price pressures from discounters like Amazon and Walmart. To that end, Nordstrom executives said in an earnings call Thursday evening that the core Nordstrom stores were stabilizing. But they aren't improving quickly enough. Sales of Nordstrom stores that were open a year ago grew just 0.6%, and the stock fell nearly 10% Friday. Home Depot (HD) has faced very little pressure from Amazon and other online stores. Yet its latest results and outlook were also lackluster, largely because of bad weather (a legitimate excuse for a company that sells to professionals building homes outdoors) and concerns that rising interest rates could dampen home sales. So it just goes to show that there is a lot more to retailing than Amazon. And we're not done with the parade of earnings from big chains just yet. We'll get more clues next week about what consumers are buying and where they are shopping when more retailers report their latest results and provide outlooks as well. Among the bigger store chains on tap: TJ Maxx parent TJX (TJX), Kohl's (KSS), Home Depot competitor Lowe's (LOW), Tiffany (TIF), Target (TGT), Victoria's Secret owner L Brands (LB), Best Buy (BBY), Williams-Sonoma (WSM) and Gap (GPS).